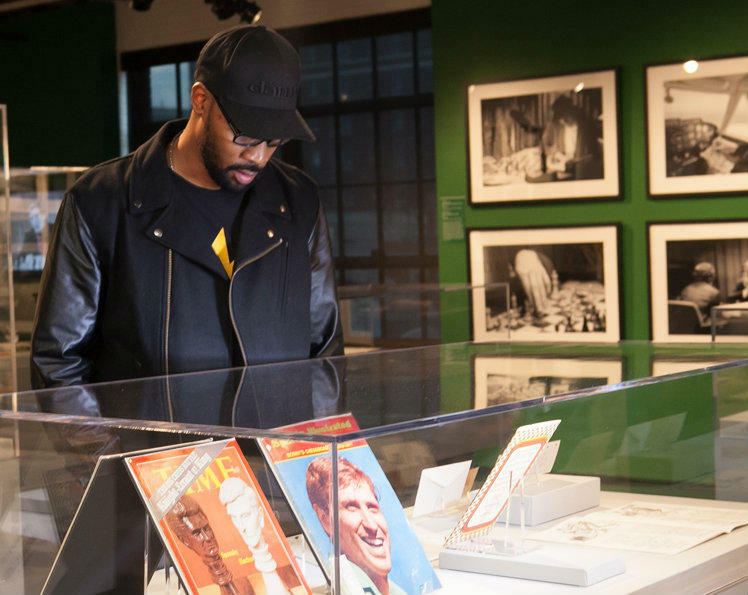 Wu-Tang Clan leader RZA checks out part of the Bobby Fischer exhibit during October's opening ceremony of Living Like Kings. Living Like Kings kicked off last October with a record-setting opening ceremony of more than 500 eclectically and demographically mixed attendees, highlighted by the presence of Wu-Tang Clan leader RZA. The influential rapper and producer is the director of outreach for the San Francisco-based Hip Hop Chess Federation, which provided the inspirational roots for the WCHOF exhibit. That night launched the installation’s centerpiece: a split-screened, visual collage created by St. Louis artist Benjamin Kaplan. The 27-minute video immerses viewers with music, photography and illustration, overlaid by a set of interviews with music moguls like RZA and Grandmaster Flash, and chess masters Maurice Ashley and Jennifer Shahade. Kaplan weaves these pieces together in a potent narrative that describes the myriad themes shared by chess and hip hop, from strategy to creativity to their symbolism in life. The montage proves to be a seamless illustration of the two subjects; and, by the end, observers find themselves double-checking to which culture the conversation refers. What has kept Living Like Kings unique since October is its evolution. Over the past months, regular changes and additions to the exhibit have been featured on the second floor of the WCHOF as part of a companion “Learning Lab,” which allows even those 500+ opening ceremony attendees to return and see an entirely new scope of the project. The Learning Lab has updated itself with smaller installments and several one-night-stand performances that continue to dive into either chess or hip-hop culture. 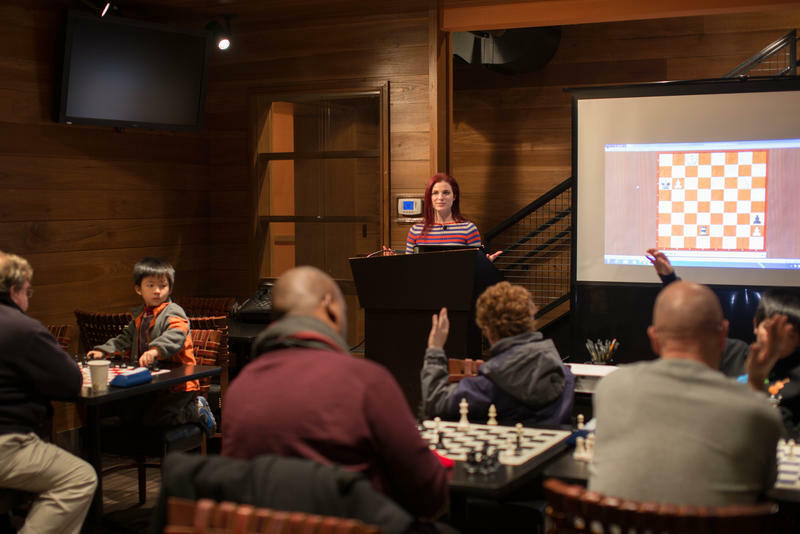 Last month’s Champions in Motion was yet another fusion of the two, simultaneously spotlighting the moves made by figurehead champions from both fields: hip-hop mogul Jay-Z and chess legend Bobby Fischer. Last week, the Learning Lab updated again with Freedom Under Rough Years, showcasing the work of another St. Louis artist, Nicholas Gates, whose artwork is in the personal collections of Jay Z and Kanye West. The multi-talented Gates has his many offerings on display, from a sculptural series representing the golden age of hip hop to his pioneering of LED technology into fashion. The Learning Lab has also received fantastic updates through Pieces and Placement, which has brought new artists into the fold with each new month of the exhibit. Five other artists were brought in by Daniel Burnett, all asked to create a work inspired by a single chess piece. Burnett began with the pawn back in October and, since then, the room has sprung alive with exceptionally powerful imagery. The overarching theme of Living Like Kings remains embodied within every installment of Placement, each artist infusing his or her own personal connections with hip-hop culture through heavy tones of street “graffiti” art. The Knight’s mural, created by Chicago duo Nice-one and Lucx, is more of a three-dimensional abstract that reflects the unpredictability of the piece through its journey across the board. The Bishop, (see below) created by Washington University graduate Benjamin Pierce, is a wonderfully dominant monster seen flipping a king piece -- a symbol of disrespect in the graffiti world, and certainly one in chess. 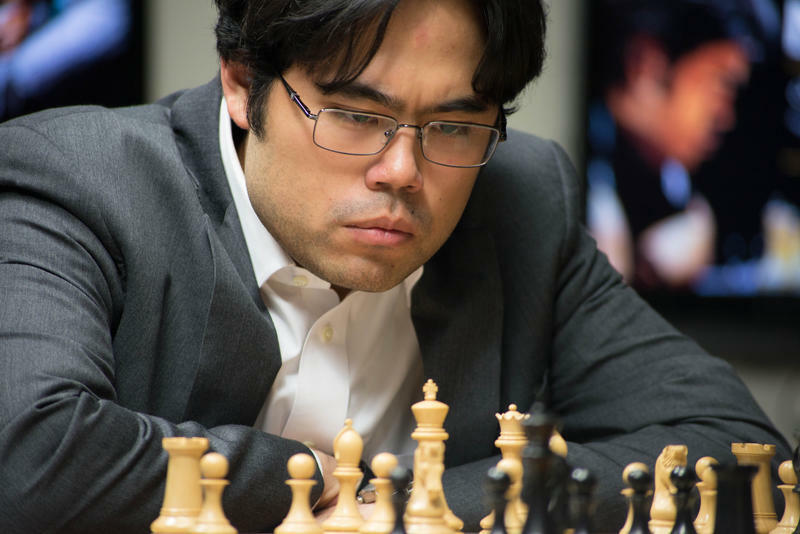 Each installment has received a thematic capturing through a video series titled Masters of the Arts, which features discussion sessions between the artists and chess grandmasters. With the exhibit nearing its end, five Placement pieces have been completed and only the most important remains: The King was just begun by Ruben Aguirre, a Chicago-based painter and graffiti artist. The Learning Lab will feature its final one-off event two weeks from tonight on March 19 at 6:30 p.m. titled Brand New Old School Style with Nicholas Gates, an interactive event where the artist will provide instruction and display choreographed works that combine old school dance with the new sounds of today. All of the Living Like Kings features will be on display at the WCHOF through the exhibit’s close on April 26.